Nancy Boughton is an interior designer with a love for all things "house". Known to never drive past an open house or a residence under construction, Nancy's talented ability to visualize clean, crisp, colorful, high quality designs allows her to create award-winning interior spaces. She has completed hundreds of kitchens and bathrooms as well as whole house and individual room designs. 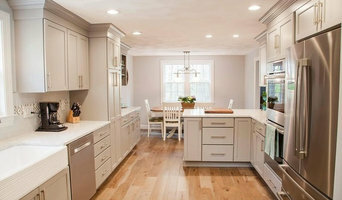 Nancy has been featured in national and regional magazines including Coastal Living (the largest shelter magazine in the U.S.), Maine Home Design, and Merrimack Valley Magazine. Her beautiful interiors have received awards from HGTV where they have been showcased alongside other top designers. Nancy is a native of New Canaan, CT and a graduate of Providence College. Following a successful career in advertising, she earned her Interior Design Certificate from the Boston Architectural Center in 2004. Nancy is incredibly fun to work with and provides excellent value and service to her clients. She has perfected her ability to transform any space into a place where her clients can truly enjoy their time. After all, this is not her job, it is her life-long passion! Nancy currently resides in Massachusetts with her two lovely daughters and husband. An award winning "Boutique Interiors, Kitchen and Bath design firm." 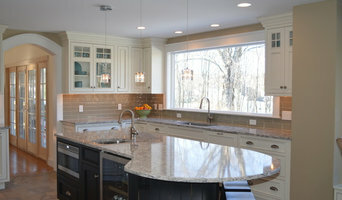 Supplying and designing Interior Design, Custom cabinetry, tile, counters and accessories. Bespoke Interiors and millwork for the entire home. Currently completed our sixth This Old House project. Servicing New England, islands, coast of Maine and the vacation spots throughout the United States.